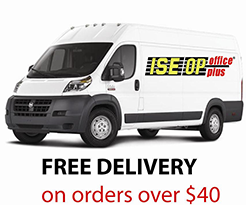 ISE Office Plus offers two payment options for our customers. You can pay with any major credit card or you can open an account with us. ISE Office Plus accepts Visa, MasterCard, American Express, Optima, and Discover. Paying by credit card has its advantages, which include no hassle payment procedures and no risk of late payment charges from us. In addition, you can receive bonuses from your credit card company, such as mileage or cash back rewards. Another option is an open account. When your account is opened with ISE Office Plus, you are given a credit limit of $500.00. As you continue to buy from us your limit can easily be extended. We trust that bills will be paid upon receipt but just in case, there is a 30 day grace period. Any unpaid balance beyond this period will be subject to finance charges at a periodic rate of 1.5% per month. In case your account is ever in default, you will be charged for any reasonable attorneys fee and court, or other collection costs as permitted by law and as actually incurred by us. 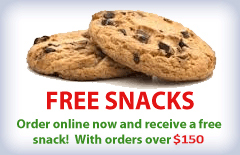 PLEASE NOTE: New customers, with no previous history with ISE, are asked to use credit card or COD for the first order. If open account terms are required, they can be established within 24-48 hours after a credit review. New account terms are net 10 days until credit history has been established with us.